Get all wrapped up for fun on chilly days – just like the animal friends on this cosy play set. These appliqué woodland creatures are nice and toasty in their cold-weather clothes. 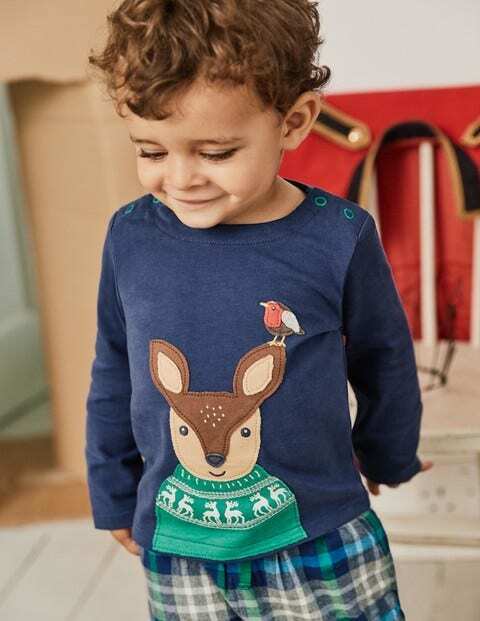 Both the top and bottoms are made of soft cotton, while the latter also has a jersey lining – making them soft on skin but hard-wearing for little crawlers.